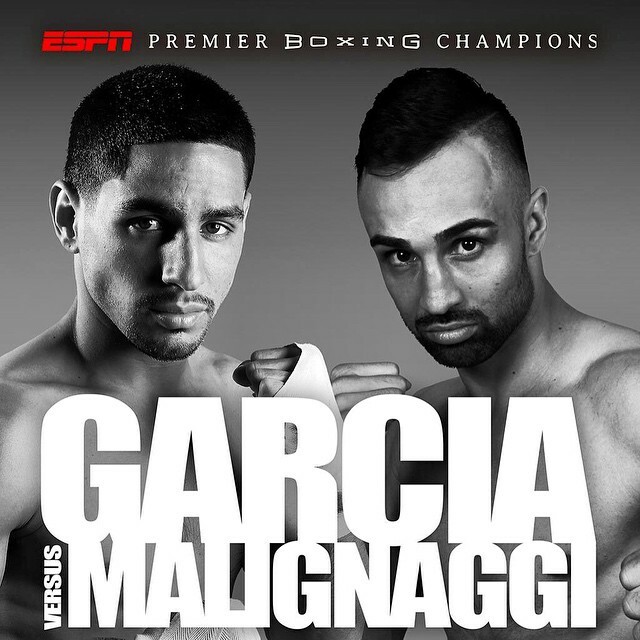 I’ve read some articles and watched some Youtube videos blasting Danny “Swift” Garcia for facing “The Magic Man” Paulie Malignaggi in his next bout on August 1st. I must say that at first glance I felt the same way, but the more I’ve evaluated it, the more I feel this is the right move from the Garcia camp. Garcia had two magical years in 2012 and 2013. Over that 24 month period he scored a decision win over the legendary Eric Morales, recovered from a slow start to decimate Amir Khan, destroyed Morales in a rematch. He then went on in 2013 to score impressive back-to-back decision victories against the always dangerous Zab Judah and in outclassing the big punching Lucas Matthysse. After five highly impressive fights in a two year span, Garcia was the toast of the town and his name was entered into every discussion as a potential opponent for Floyd Mayweather – even though Garcia himself refused to be drawn into that kind of speculation, instead declaring that he would leave the matchmaking in the hands of his team and face whomever they put in front of him. During that same time period, Malignaggi’s trajectory was a little different. He went on the road to win a world title in Ukraine, via a very rare-for-Malignaggi stoppage win over Vyacheslav Senchenko. Senchenko was unknown to many at the time, but was an undefeated world champion who would go on to gain more fame in his next bout by stopping the comeback of Ricky Hatton as quickly as it began. Malignaggi then went on to defend his title once before following up with a loss to Adrien Broner and a victory over Zab Judah. Three wins and a loss, with only one win coming against a fighter who could be held in the category of above average in his victory over Judah. Unlike Garcia there weren’t hordes of reporters throwing superlatives in Malignaggi’s direction. Since then, both fighter have fallen from grace to a degree. 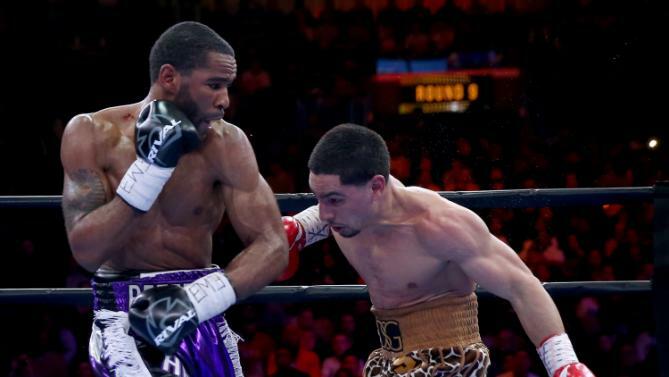 Garcia followed up his stellar two years by struggling to a victory against Mauricio Herrera, destroying a very undersized Rod Salika and then being lucky that Lamont Peterson chose to start their bout earlier this year very slowly. Had Peterson fought throughout the way he did in the last third of their bout he would have been the first fighter to hand a loss to Garcia. All of a sudden the fighter many thought would be a legitimate threat to Mayweather looked to be very, very beatable by very average fighters. Malignaggi fared no better. His only fight since 2013 ended was when he stepped in the ring with newly crowned champion Shawn Porter 15 months ago. Porter walked all over Malignaggi that night, dominating him from the opening bell and landing with ease. 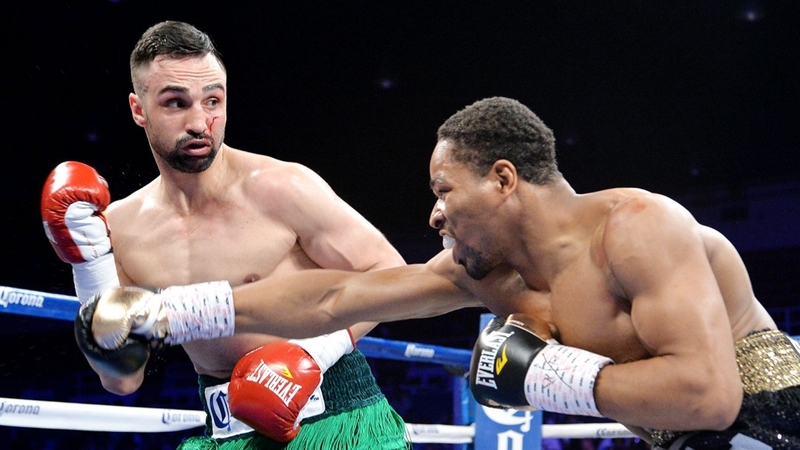 The elusive nature with which Malignaggi has fought in the past deserted him and Porter forced the ref to step in to stop Malignaggi from being seriously injured. Now these two fighters who have fallen in public estimation will take on one another. 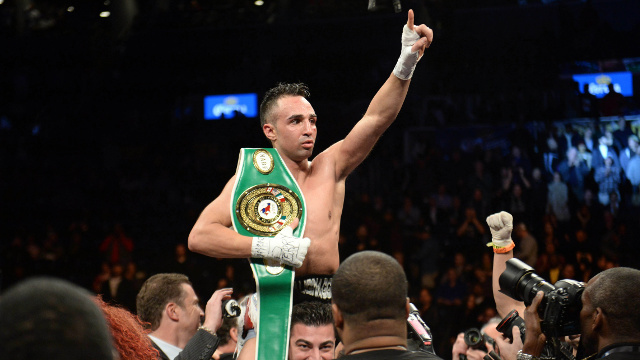 For Malignaggi it’s a chance to play spoiler and gain what could be a nice final chapter to his career. For a fighter with brittle hands and little power to achieve what Malignaggi has is admirable and points to a great deal of skill. He’s won world titles in two weight classes and shared the ring with some great fighters. 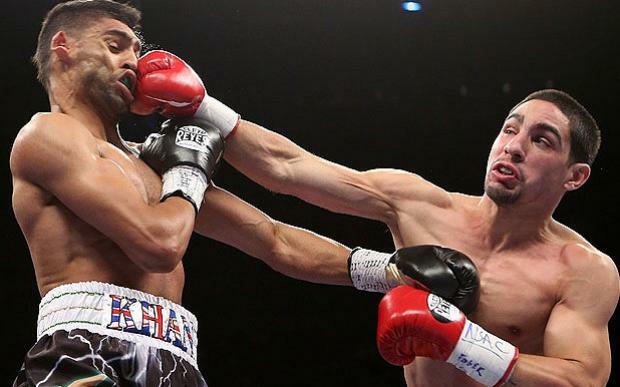 A win over Danny Garcia would open the door for a couple of big money bouts for Malignaggi to end his fight career on before moving full-time into his glittering future as a colour commentator. The threat of loss for Malignaggi is high, but given that most feel he is being sent in to be beaten means he has nothing to lose. If he loses, hey it was inevitable. If he finds a way to win he’s overcome the odds once more and impressed the world yet again. For Garcia it’s a completely different kettle of fish. He is expected to win, and win handily, which brings its own problems. Garcia has struggled in two of his last three fights, and those he’s struggled against have been boxers with good movement and the ability to slip punches. That’s what The Magic Man has made a career of doing. Sticking and moving all the way to victory is how Malignaggi plays the game. He doesn’t have the stinging power to stop fighters in their tracks, or even to back up most guys he faces. Instead he has to fight at a high tempo, hit and move and then hit and move some more. When Peterson began fighting with a slick style in his bout with Garcia, Garcia seemed to have no answer. The fact that Garcia has been struggling against slick boxers, while he outclassed and out-boxed wild swinging fighters like Matthysse and Morales has many feeling he is a one dimensional fighter who can use the wild aggression of punchers to his advantage but can’t control the pace or position of a fight against slick fighters. The only way Garcia can truly get that stigma off his head is to take on a slick boxer and dominate him throughout the fight, no matter how long it lasts. If Garcia chases Malignaggi around the ring and manages to eek out a points victory, it’s only marginally better than a loss. If Garcia chases Malignaggi around and lands one telling blow that leads to a stoppage, it’s not much better than a loss. Only dominance will raise peoples heads for long enough for them to believe the hype surrounding Garcia a couple of years ago was justified. It’s really a big gamble by Garcia’s team. They have likely looked at Malignaggi and see a fighter with a style that has caused trouble for their man in the past, but a fighter who is past his best and whose reflexes have slowed just enough to not be obvious, but to give Garcia the chance of landing hard and often. They are gambling on a few things. They are gambling that Malignaggi has truly lost a step rather than simply being overwhelmed early by Porter with no chance of battling back into the bout because of the then champions freight-train like style. They are gambling on the 15 month break from the ring for Malignaggi leaving ring rust to add to the shop-work body. For some fighters at the end of their career, the extended breaks allow old injuries sustained through both fights and back-to-back intense training schedules to heal. As I said earlier, at first glance I felt this was a huge mis-match with Malignaggi being used as a sacrificial lamb. Upon closer evaluation I see the danger of Malignaggi coming in rested, refreshed and having nothing to lose. 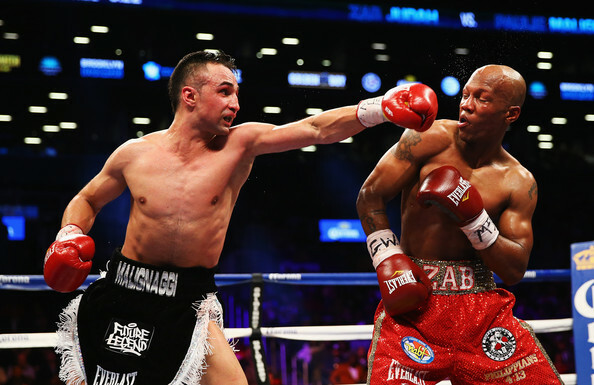 With the pressure off him in every way, shape or form Malignaggi has the potential to cause a huge upset. Garcia, on the other hand, has many ways in which he could win this bout, but only one that will truly make him look like a victor. His back is up against the wall if he wants to enter discussion as an elite fighter again, and against a fighter with nothing to lose that’s not a position you want to be in. I’m not making a prediction here and now as the purpose of this piece is simply add a different viewpoint to a bout that many have already written off. What was your Boxing Baptism?